Tashfeen Malik Conspiracies: Who Is Trying To Hide What? When the identities of the terrorists responsible for San Bernadino massacre were revealed, the familiar sick feeling was revisited once again. 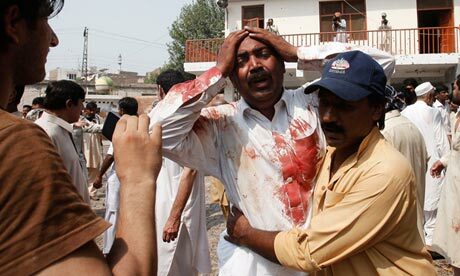 Worst fears came true as the attackers were not only Muslims but also Pakistani. Since past several days, more information has come to light. As we learn more about the attackers, though, something peculiar has begun to take place. 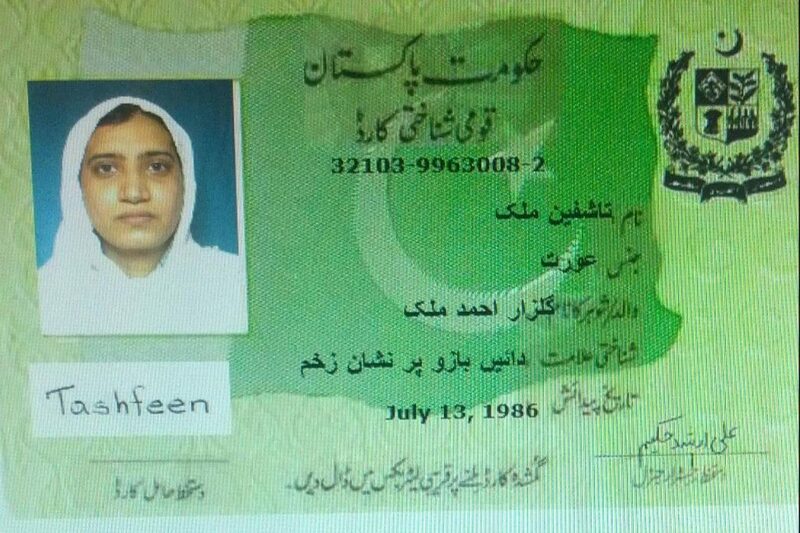 When fact of Tashfeen Malik’s Pakistani nationality was reported, the popular response was to point out that she was born in Pakistan but was raised in Saudi Arabia. In other words it is not a fault of Pakistan that she became extremist it is a fault of Saudi. Now Saudi is saying that she was only there for two short visits. Then a copy of her CNIC was leaked. This was quickly dismissed even by liberals as photoshop. However now it has been explained that the CNIC is not a photoshop, it is the internal version used by law enforcement officials. Other conspiracy theories are also being heavily reported by the usual hyper-nationalist disinformation walas, creating more confusion and leading people to believe that even though they have watched the entire event unfold in great detail. Actually it is often the details that are used to create confusion. For example, I have seen many friends on social media asking if this woman was such a conservative Muslim why were her legs exposed and they point to the photos from the death scene. However they are ignoring the simple explanation that police had to search the bodies for bombs and other weapons! While hypernationalist disinformation agents are spreading these conspiracy theories, there is a very real conspiracy that is proven to be taking place under our noses. Real journalists investigating Tasfheen Malik’s background have been threatened by agency men to stay clear or suffer consequences, and her professors have been warned not to speak to media. Three professors at Malik’s university said they had been advised not to talk to the media, while men claiming to be from Pakistan’s security agencies told reporters to drop their investigations into her background on pain of arrest. Now we are learning that Pakistan intelligence agencies were aware of militant extremism being promoted at Bahauddin Zakariya University, and now it has also been revealed that Tashfeen Malik also attended al-Huda in Multan. 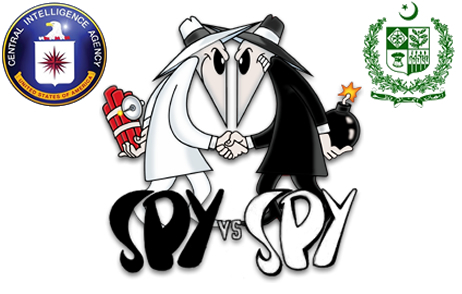 Conspiracy theories and logic-twisting denials have become routine in our society. Rather than face the terrible facts of what is happening around us, we choose to ignore it and blame some foreign conspiracy. In this case we are witnessing the activation of conspiracy theories at the same time as agencies are threatening real reporters. The question is hard not to ask…Who is really trying to hide what? The following is from an article by Pervez Hoodbhoy that was published in New Politics last summer. It is worth reading again during the present day. In a country that can boast of few achievements in improving the lot of its own people, legitimate criticisms tend to be conflated with illegitimate ones. 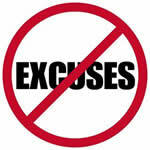 After all, it is human nature to blame others for one’s own miseries. Today the United States is frequently held to blame for Pakistan’s ills, old and new. Absurdities abound. Surely America should not be held responsible for the sewage-contaminated water that Pakistanis must drink, the pitifully low level of taxes collected, the barbarity of the police, or the massive theft of electricity by rich and poor alike. Nor can it be blamed for the fact that Kashmir is unresolved and that Pakistan’s generals foolishly thought of winning it through covert war. Of course, Pakistan is not the only country where America provides a rationalization for internal failures. U.S.-bashing is a structural phenomenon where, at least sometimes, it has nothing to do with what America actually does. For example, one recently saw the amazing spectacle of Hamid Karzai threatening to join the Taliban and lashing out against the Americans because they (probably correctly) suggested he had committed electoral fraud. In the present anti-American climate, the manufacture of conspiracy theories has become Pakistanis’ single biggest industry. Various polls show that the events of 9/11 are assumed by most Pakistanis to have been a CIA-Mossad conspiracy designed to malign Muslims and a part of the West’s war on Islam. It is also believed that Osama bin Laden did not carry out these attacks and, even if he did, that he died long ago. Many think he is an American agent trained and armed by the CIA, while Blackwater is believed to be behind suicide attacks in Pakistani markets and mosques. On the other hand, the Afghan Taliban are often pictured as simply freedom-loving people trying to free their country from foreign occupation. Just when one feels that the limits of absurdity have finally been crossed, some popular television anchor throws out a conspiracy story that leaves one gasping. Example: for months one heard the theory from various popular anchorpersons that leaders of the Pakistani Taliban, Baitullah Mehsud and Hakimullah Mehsud, were U.S. agents. But there was deafening silence when these leaders were killed by American drones. And, by the way, what happened to the khatna (circumcision) theory — that suicide bombers were uncircumcised and were either Blackwater employees or Indian agents? Now that one can check the carcasses of suicide bombers frozen in cold storage, that theory has conveniently disappeared from the market. Pakistan’s collective psychosis is painful to behold. When a suicide bomber walked into the female cafeteria at the Islamic University in Islamabad, followed by a second bomber in the male cafeteria, one might have thought that great anger would have been expressed at the Taliban. Instead, the brainwashed students vented their anger at the university administration, government, and America instead of the perpetrators of this heinous deed. The Jamaat-e-Islami and other religious political parties flatly refused to condemn the suicide attack on students. Ordinary Pakistanis — including the bearded and burqa’ed ones — have fully bought into America-bashing. So does the Westernized elite which yearns for a Green Card, sends its children to U.S. universities, listens to American pop music, and drives out in fancy cars to a McDonald’s. It also includes Pakistanis permanently settled in the United States, who writhe in guilt knowing they live off an anti-Muslim superpower — as they see it. Tragically for Pakistan, anti-Americanism has played squarely into the hands of Islamic militants. They vigorously promote the notion that this is a bipolar conflict of Islam versus imperialism when, in fact, they are actually waging an armed struggle to remake society. They will keep fighting this war even if America were to miraculously evaporate into space. Created by poverty, a war-culture, and the macabre manipulations of Pakistan’s intelligence services, religious militants want a total transformation of society. This means eliminating music, art, entertainment, and all manifestations of modernity and Westernism. Side goals include chasing away the few surviving native Christians, Sikhs, and Hindus from the Frontier province. There is certainly legitimate reason for countries across the world to feel negatively about America. In pursuit of its self-interest, wealth and security, it has waged illegal wars, bribed, bullied and overthrown governments, supported tyrants and military governments, and undermined movements for progressive change. But nutcase conspiracy-thinking of “foreign hands” being behind most ills is deadly for a nation’s mental health. If some “foreign hand” is imagined behind everything, then that kills self-confidence and one’s ability to control outcomes. Imagining these “extra-terrestrial” forces deadens the ability to think rationally and sharply reduces the capacity to deal with terrorism — which is here to stay in Pakistan for the foreseeable future. Pakistanis, who desperately want someone to stand up to the Americans, have bought into the notion of the Taliban as being somehow anti-imperialist. Today, in a country that is divided on everything else, strong anti-U.S. feelings provide a rare point of consensus. Sadly, some in the Pakistani Left seek to cash in on this. I recently wrote that Syed Munawar Hasan’s poor excuses for terrorist jihadis were complete nonsense, and that his claim that militants are attacking because of some “prolonged injustice and tyranny” flies in the face of all reason. Husham Ahmed observes that the JI leader is doing more than just making excuses for terrorists, though – he is justifying a culture of death. I pointed out the ridiculousness of the JI Amir just the other day. Next, if “extremist is the result of prolonged injustice and tyranny”, please let this man explain what is the prolonged injustice and tyranny that has been committed by Ahmedis in Lahore? What is the prolonged injustice and tyranny that was committed by the Christians in Gojra? What is the prolonged injustice and tyranny that has been committed by Shias who have been the victims of extremist militancy? What is the prolonged injustice and tyranny that has been committed by people who are going to Data Darbar, Abdur Rehman Baba, or Baba Farid? Husham Ahmed sees a pattern in the targets of these jihadis, though – they are attacking the very culture of Pakistan. Those who have been perpetrating such attacks are very clear in what they are doing. Sadly, we are not. This is not indiscriminate violence nor are these senseless attacks. The targets selected by the terrorists are symbolic in nature. This is an attack on the culture and practices followed by the majority. Yet our state of denial still exists. Even after all these years, we still hear statements like, ‘Who are these people?’ and, ‘They can not be Pakistanis’ and of course, ‘No Muslim can do it’ not only from common citizens but also from the authorities. There are people among us who very conveniently put the blame on ‘foreign elements.’ As we refuse to realise that we are in a state of war against an ideology of hate and intolerance, which very much threatens to subdue the majority, we will continue to be attacked by them. This ideology is practiced by only a few militant organisations and banned outfits. As long as we allow the few bigots to dictate to us what is right and what is wrong, we will continue to be terrorised. We are facing an existential threat as a nation. Ahmed Qureshi and his band of merry Useful Idiots may be willing to make excuses to help their careers just like Syed Munawar Hasan and his jamaati followers, but it is not the Americans or NATO or even the Indians who are trying to kill the very heart and soul of this nation, it is the jihadi militants which nobody seems willing to admit. While our courts are busy setting the price of sugar and making petty power struggles with the parliament, our streets are being taken over by a band of killers that are not fighting against some “Western hegemony” or “Zionism” or “Indian aggression” – they are trying to wipe out Pakistan’s own culture, our own history and our own people are the targets.